In the wake of Hurricane Harvey ... that ol' so-and-so ... arts organizations are struggling to clean up. And some are still hunkered down and hoping for the best. Our great city and region are continuing to suffer from the aftermath of Hurricane Harvey, and we know that we are facing a long recovery together. Following is an update on the Wortham Theater Center, whose two theaters, the Brown and Cullen, are home to Houston Grand Opera. The Wortham had water penetration into the front of house areas at a low level due to high water; that water has now receded and left residual dirt. In the back of house, water surged over the storm defense and some water went onto the Brown Theater stage. This was at a low level but has resulted in damage to the surface of the stage. The Cullen Theater stage has little water damage and the dressing room corridor had water, but also at a low level. The basement of the building is completely full of flood water. We want to thank Houston First, Theater District Inc. engineers, and Andy Frank Security for their great work in protecting the building from even worse damage. The Theater District garage is completely flooded and will undoubtedly be closed for some time for repairs and cleanup. Fortunately, HGO staff members had the foresight to move valuable instruments and many costumes, including those for our opening productions of La traviata and Julius Caesar, to higher floors in advance of the storm. 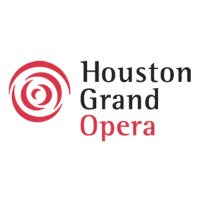 Houston Grand Opera will be out of our offices until after Labor Day. Our website remains down. We will provide another update on Thursday afternoon, August 31. Meanwhile, we are deeply grateful to the artists and other colleagues from around the country and the world who have sent their support. That means so much to us all. Houston Grand Opera will recover and deliver a fantastic season to our patrons, giving them the art they need to heal from this calamity. And the only future water we want coming across our stage is that of the Rhine! How can you help? Here are some ideas and thoughts.